Leaders, can we help the team take ownership? May 30, 2018 - No Comments! 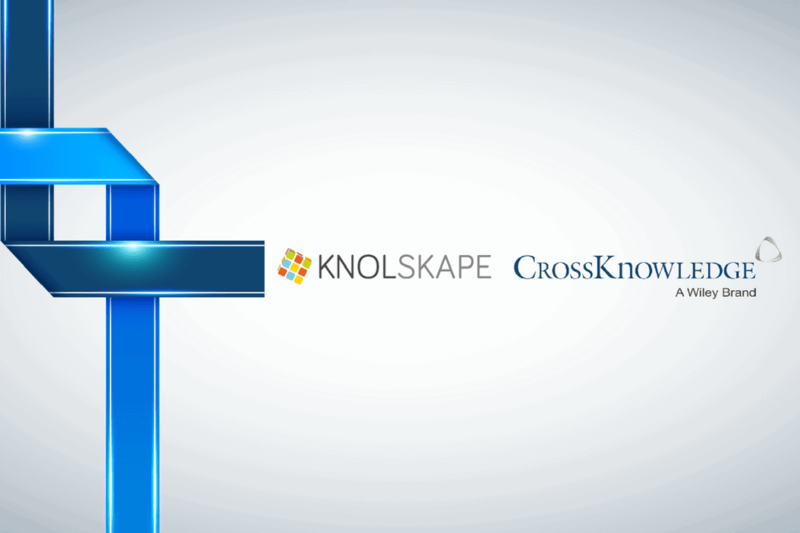 KNOLSKAPE, an end-to-end learning and assessment platform for accelerated employee development is pleased to announce a strategic partnership with CrossKnowledge, a global leader in digital learning solutions, serving over 12 million users in 130 countries. The partnership offers organizations new-age learning technologies coupled with best-in-class e-learning solutions leading to enhanced employee engagement and accelerated development. As organizations face new challenges in engaging their multi-generational workforce, motivating learners, and measuring ROI on their employee development initiatives, companies across the globe are increasingly realizing the need to rethink their learning and development strategies and modes of delivery to cater to the specific learning needs of their employees. Realizing this need, KNOLSKAPE and CrossKnowledge(a Wiley Brand) aim to provide organizations with advanced learning content blended with new-age, experiential technologies such as simulations and gamification, for increased engagement and accelerated development. Sign up for our free newsletters, including tips to improve workforce capability through technology. We don't spam!